[Other] [RULES] Ringtone Section Rules & Guidelines! [Other] [Mi Resources Team] Avengers Endgame (2019) Movie OST Ringtones For All Mi Fans. Download Now!!! [Phone Ringtone] [Mi Resources Team] iOS 12.2 Stock Ringtones For All Mi Fans. Download Now!!! [Other] [Mi Resources Team] Alan Walker Best Ringtones Collection For Mi Fans! Download Now! [Other] Awesome Bad Boys 2019 Ringtones For Mi Fans. Download Now!!! 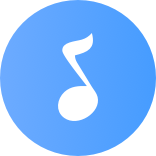 [Other] [Mi Resources Team] Easter Party Music Ringtones For Mi Devices. Download Here!! [Other] [Soundtrack] The Grinch (2018) Movie Soundtrack Ringtones. Download Now!! [Other] [Mi Resources Team] [Soundtrack] Wicked Ringtones Collection For Mi Fans! Download Now!